Start and finish a 60" x 72" quilt in 3 short days! You'll learn the basics of quilting, piece your quilt top, add borders properly and load your quilt on to one of our long arm machines to machine quilt! We'll even cover binding application and have some fun along the way. So take a three-day break from work and walk off with a completed quilt! Note: This class is required before taking any of the other classes in the Boot Camp series. For those who have completed Boot Camp 1, we have a new quilt for you to complete in 3 days! You'll enhance your long arm skills to include a simple shape after doing more precise piecing and cutting. We'll show you an easy way to attach your binding! For those who have completed Boot Camp 1 & 2, we have a new quilt for you! We'll be making the Scenic Route Quilt to give you plenty of practice with working on the bias, and then it's off to the long arm room to try a pantograph pattern using a laser guide! ​We will be making a strip-pieced trip around the world quilt (no funny business with bias! ), but we really want to make sure you get your points right! Then we’re off to the longarm room where you will use a stencil to mark a border design to follow. This technique will test your machine control, so it won’t be super easy. Pre-Cutting with the AccuQuilt Go!Big Electric make this quilt super easy and quick to piece. ​It's time to go big! In true Boot Camp style you'll be using only 3 fabrics (light, medium and dark). The quilt makes up Queen size and is on point. Just enough of a challenge to keep your interest, but in the larger size for a true bed-quilt. You choose stipple or free-motion edge-to-edge quilt method at the long-arm machine. Join us as we use the Flying Geese die that you receive for free with your AccuQuilt Go!Big Electric cutting machine. We'll make a baby quilt in class with the pieces perfectly cut using the die! Knowledge of quilting required as we will not be completing this quilt in class. Using the Hunter's Star die for your AccuQuilt cutting machine, we'll make a lap-size 2-color quilt! You will be amazed at how easy it is to put together this quilt! ​Knowledge of quilting required as we will not be completing this quilt in class. Join Diane and go modern!! The 2019 Club is based on the quilt pattern “Over Hear” from the new Block Party book published fall 2018. Traditional block piecing combines with a Modern Quilt look to keep you into new quilting trends. Classes begin in February and run through November. You can join anytime; we’ll get you caught up! Book is not included in the class fee. The cost for the year is $125.00 (10 classes + party in December). If you choose to pay for the entire year by January 31, 2019, the annual fee is reduced to $110.00 and you will receive a 20% discount off your regular priced fabric purchases on the day of the club meetings. Join Annette each month on the 2nd Friday for this 9-month project. This particular Block of the Month is paper-pieced, so you get perfect points every time! Pattern included. Bloom has a whimsical layout of spinning Bloom V Stars and Five Diamond Blocks that actually create Ohio Stars when set on point. Michelle alternated the two blocks and set them on point, so they come together to create blooms and greenery popping here and there. Bloom comes together easily with the Studio 180 Design “V” Block and Square 2 (or Large Square Squared) tools. Learn simple block construction pieces for this easy, quick to make 3-color quilt. The large blocks let you to highlight your favorite fabric! Two block sizes available. 6 Quilt sizes available from Crib to Queen. *Free if sewing machine was purchased from our store! Are you ready for a quilt project that’s a bright, bubbly departure from the norm? Well, Effervescence is the pattern for you! Using a combination of the usual Corner Popped Squares and the Square Squared units, you are sure to make a project that will turn heads. ​Olé! Spinning around and around this unusual star will amaze you with its simple construction; making spikey stars has never been so easy! By using the Split Rects and Corner Pop together you get a unique combination of sharp points that are perfect every time. This project is perfect for the stack of 10” squares awaiting its day to shine. Using a special template, you'll learn to quilt as you piece together the pieces of each block! Put the blocks together (as many as you like) and double turn your edges to finish! No binding or further quilting needed. A really interesting and easy way to make a quilt. Join me for our first ever Technique of the Month series for Glacier Star! Each month we will work on techniques 1-6 and the final month we will work on assembly. This is a great way to learn the techniques of Quiltworx over time, without the pressure of finishing in a one or two day class. Michelle designed this fun, quick and easy quilt that can be made with scraps, fat quarters, yardage, etc… you pick! The pattern offers 4 sizes and 2 setting options. All sizes are made with the same number of blocks and units; the size of the flying geese units determines the size of the quilt. Pick a large floral print for the stars and tone-on-tone for the Flight block, or use the same fabrics, different fabrics, or scraps! Uses Studio 180 Design’s Wing Clipper I™ tool. This is a great class for beginners and experienced quilters. Finished Quilt Sizes: Baby 50" x 50”, Throw 70" x 70”, Double 90" x 90”, & Queen 110" x 110”. traditional Lemoyne Star blocks in 10 different sizes! The block units are strip pieced, assembled without using any “Y” seams, pieced so that the blocks themselves are slightly oversized so at the end each can be trimmed to an exact size. This class will show you how to use your walking and free motion foot so you can quilt your quilts! We’ll practice in the ditch quilting and free motion quilting on fabric sandwiches. Template and Feather Spine Template. We will discover how to create feathers of uniform size as well as different size plumes on both straight and curved spines. We will be working on practice sandwiches. Table Runner and Placemat project instructions will be provided for you to work on after class. Prerequisite: Into to Ruler Work. Learn the basics of using rulers on a domestic sewing machine! John will show you how to attach and adjusting the ruler foot, proper thread tension and stitch length will also be covered. We will be using practice sandwiches and Westalee Rulers. We will cover the designs that are featured in the class sample - we will not be creating the sampler in class. Sewing directions for the sampler will be provided. combined in harmony, making your Mandala. Welcome Spring with this beautiful tulip wall hanging! The Mini Quick Curve ruler reduces curved cutting and sewing time and makes this project easy and fun! Just in time for summer, this flag is a fun and festive wall hanging that will get you started on outdoor season decorating! Great addition to your Mini Quick Curve ruler project collection. Join Stephanie for the day and get hands on help to finish those Judy Neimeyer quilts! ​Save $15 if the project is from a class you’ve taken with Stephanie! Create this simple yet stunning quilt with ease using the Pineapple Ruler! You will learn to make one or two blocks in class to get you started. This year long program encompasses basic quilting techniques while getting together with others who share a love of quilting in a fun, relaxed setting. ​Happy News! The 2019 Club will still be working from the Farm Girl Vintage book! We’ve extended the class time one half hour (to 10:00 am – 12:30 pm) so you will have plenty of time to get a good start on your blocks, or maybe even finish them in class. Join Annette as she focuses on different quilting techniques rather than the quilt pattern itself. Each class gives you a chance to improve your skills in quilting! Are you having problems in figuring out what designs you can create with the rulers you have? Then this is the class for you. We will create various designs. Discover ways to creatively use the rulers you have. Other’s will be available for you to test drive. You will leave the class with ideas ready for you to go home and stitch out. Having trouble figuring out how to make designs fit into sashing and borders? Having problems getting “around the corner” with your design? In this drawing design class, we will be working with pencil and paper to work out ways to make designs fit into borders and sashing. Learn creative ways to use some rulers that you already own in a non-traditional way. Tuesday Tea with Annette D! 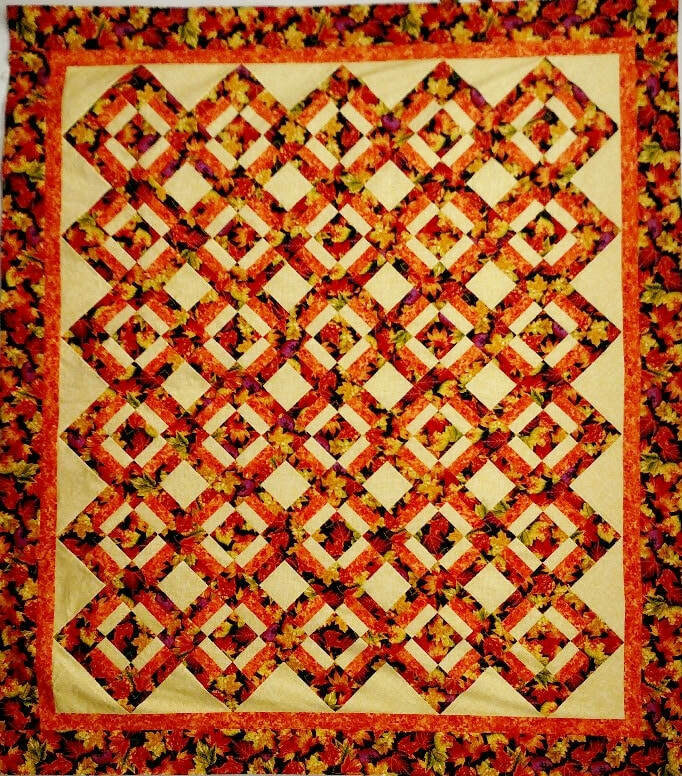 Join Annette D each month for a new quilting pattern. She will provide a quick demo on the blocks, and enjoy some tea! Registration is required to guarantee a copy of the pattern of the month and tea.